Turn back the clock…or tune into TBS. 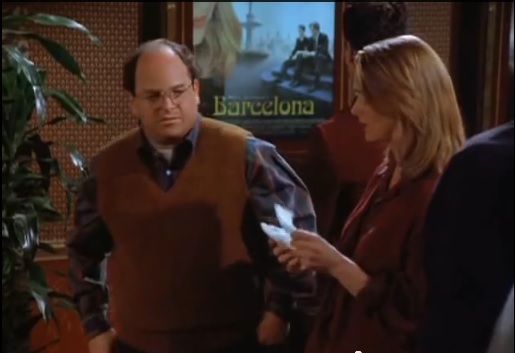 Eagle eyed twitter user @wallyb1966 noticed that Whit Stillman’s poster Barcelona was featured in a Seinfeld episode. The episode in question is The Engagement, season 7 episode 1. Sadly the poster doesn’t play into the plot, but it has some nice air time. Very fitting as both were produced by Castle Rock.